I get it. You’re busy, you’re scared, you’re juggling debt payments and you just want a solution. There are plenty of programs offering debt relief, just begging you to call them for free help. Is Free Help what you need? You need Honest answers about what to do. You need someone to level with you and tell you the truth about how to fix your financial situation. 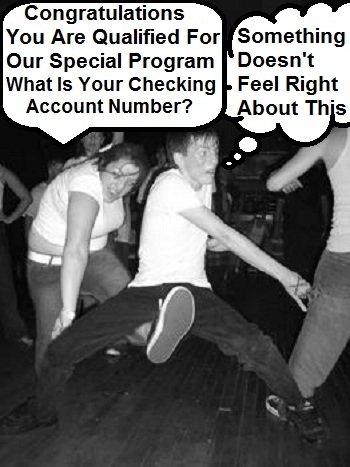 Here is the dirty little secret about the Debt Relief Programs tripping over themselves to talk to you for Free. There it is. I have thrown it down. The obvious Truth in all its glory. Debt Relief Programs exist to earn a profit. Well of course they do. All businesses exist to earn a profit right? Ya, so what is wrong with that? Nothing, unless telling their customers the truth gets in the way of their profit. OUCH, I sense this is about to leave a mark. The business model of Most Debt Relief Programs requires them to chose between providing the best advice or going out of business. Let me put that another way. When you call for a free consultation, a sales person is there to sell you something and earn money for the company. They are not paid to tell you about a potentially better solution for you offered by someone else. Gut check time. There is no Free Consultation. If you are not paying the guy in the chair offering you “advice” than someone else is. That person is going to advise you to do whatever that “someone else” wants to sell you. That’s it and that’s all. Act on the advice you receive during a free Debt Relief consultation and you will feel like the poor guy in the picture above. It might not be right away, but at some point you will feel that foot in a very uncomfortable place. For many consumers it is when the sheriff knocks on their door a year or two later to serve them with a lawsuit for an unpaid debt that the nice sales person promised would be taken care of. In the debt relief world, you are the Mark. You represent a commission check to someone. You are looking to get real advice and he/she is only paid to sell you their program. After all someone has to pay for the advertising, the overhead, and the free hour the sales person just gave you. I don’t offer free consultations. I earn a living telling you the truth, not what some guy wants me to sell you. Thank you for the honest information. I’ve come across many of these “less than honest” people while trying to research options for desperate people. I agree Marco, the picture is hilarious. But that is essentially how many consumers feel when they get free advice from a typical debt relief sales person. I totally agree that many debt relief programmes are not client focused but in reality are affiliate schemes for finance companies. The only genuine ones that I have come across are not for profit debt relief organisations, although these are very limited. Just be careful. Just because they are non profit does not mean they are offering a great service. Not for profit companies are in business to make money. Don’t be fooled simply because they have a non profit status with the irs. They certainly do charge real fees and are looking at the bottom lines just as much as for profit companies. My only question is you say you don’t have free consultations, yet most people who need debt relief are broke. How can that help them? That is a great question and one that I have been wrestling with for quite some time. Obviously most of my clients that need help are tight on cash, however, speaking with me is one of the cheapest options available. Consider the alternatives. A credit counseling program will typically cost between 30 and 50 dollars a month. A debt settlement program will usually cost several thousand dollars and filing for bankruptcy is usually going to cost 1500 to 2000. So the question is not how can they afford to speak with me. The question is do they have the ability to pay my fee at that moment with their current cash flow. Some do and some don’t, which is why I also offer payment plans so clients can speak with me and get the answers they need before having to pay for the consultation in full. The reality is, I am going to save them money, and provide them some potential options that nobody else is going to because some of the best options available are not options that can be sold, but simply straight forward information about what a consumer should do in their specific financial circumstances. The difference between what I do and these debt relief programs that offer free consultations is that I am right upfront with what I do, what I charge and back up everything with 110% money back guarantee. If I could offer free consultations I absolutely would, however, then it would put me in an adversarial position with my client. My client is calling me to find out what the best course of action is for their unique set of circumstances. If I have to try and sell them something in order to compensate me for my time, then by definition there is no way for me to offer what my client needs and stay in business very long. So I guess the real question is, do you want to talk to someone that you are paying directly for honest advice, or do you want to talk to someone for free who is predictably just trying to sell you a program for thousands of dollars that you probably don’t need? Before consulting with anyone offering debt relief programs look online first through forums and blogs and try to touch base with people who have gone through this in the past. People who have gone through debt relief programs with success – or otherwise – will be more than happy to share their experience with you. This kind of business is exactly what got us into the mortgage crisis to begin with. Its sad that the greedy side of business is what got us into the mess and that same greed hinders solutions to the mess. I guess you have to take the good with the bad when it comes to capitalism in America. Yes, offering a consultation for free is for the most part an opportunity to present a program for sale. You cannot be an independent consultant if you are only paid for selling a program, rather than helping a consumer figure out the best way to solve their problem. It is really that simple. A free consultation creates a conflict of interest between what the consumer needs and what the company offering the free consultation needs.